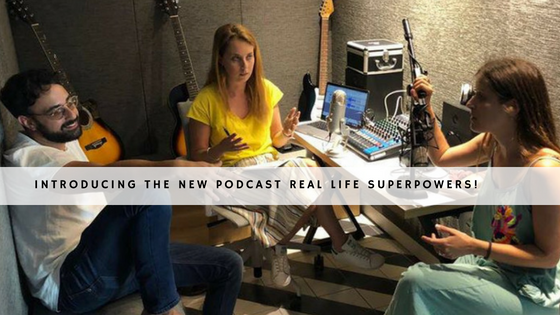 Introducing the New Podcast Real life superpowers! Over the past few months I’ve been working with Ronen Menipaz to produce a podcast. This was a natural step for us following philosophical conversations about the meaning of success, peak performance and the daily struggles that entrepreneurs around us face (as well as us). As entrepreneurs and businesspeople, we search for answers. How to be successful? How to overcome challenges? How to build the right strategy? The right marketing plan? How did others accomplish what the did? We sometimes forget to look inside and ask ourselves core questions such as Why am I doing what I’m doing ? What advantage can help me do better than anybody else? What’s special about how I do things? We realized that we believe there’s no such thing as overnight success, that success, although an agile term, requires being aware of your strengths and weaknesses. We believe that every person has a skill (or set of skills), a super power. A unique capability that, once acknowledged, makes anything possible. We wanted to create our own world where we’d have conversations with people whom we’re curious about and think we can learn from. And so, “Real Life Superpowers” was born. In this new podcast, we try to do just that. We speak with top performers and hear the uncut no-fluff version of their journey to the top. We learn what their superpower is, as well as their kryptonite. The goal of the podcast is to help aspiring entrepreneurs and leaders get inspired and tap into their superpowers. In the first episode we interview Brian Halligan, the Co-founder and CEO of HubSpot. He’s also the co-author of two books, "Inbound Marketing: Get Found Using Google, Social Media, and Blogs" and "Marketing Lessons From The Grateful Dead" AND a senior lecturer at MIT. In some circles Brian is referred to as the Steve Jobs of the marketing world. When listening to his world views on leadership and learning about his journey it’s hard not to spot the admirable similarities. Brian, whose company raised more than $100 million in funding, gone public, and brought in $375 million in total revenue in 2017 alone, doesn’t take any shortcuts. He’s very self critical. He starts the interview by telling us he’s just stepped out of a meeting about packaging and pricing to which he says “I would give us a C on the way we price it [HubSpot] I think we can do it in a much smarter way”. There’s a lot to be learned from Brian and his journey. His self awareness and reflection is evident all throughout our conversation. He speak openly about his relationship with his co-founder Darmesh Shah, how he deals with stress, his leadership philosophy and much more. He doesn’t like conventional wisdom, he encourages constant learning and unpacking of information “feedback is breakfast for champions”, he’s never satisfied, he strives to utmost transparency amongst management and he’s very tolerant to mistakes, so long as they’re not repeated. Brian is a real life superhero - and we’re proud he came along for this ride! In the second episode we interview Dari Shechter, VP of Creative & Design at Mindspace Inc, a global coworking community with locations in the US, England, The Netherlands, Germany, Poland, Romania and Israel. 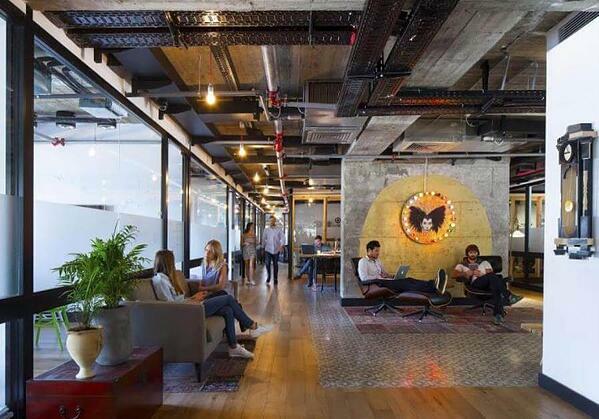 Mindspace’s exponential growth is largely attributed to of the unique experience that it provides. Dari, who‘s had no previous experience, is the creative mind that designed and lead the artistic vision for the community and company. The way we see it, her superpowers are her ability to think out of the box, combined with extreme optimism that helps her maintain exploding energies. In this podcast she explains how she acknowledged her strengths and then utilized them. "In the beginning no one listened to me, when I felt like no one cared I started doing stuff without approval. I lucked out because I did a good job, sometimes taking chances is important". In the third episode we’d spoken to Chen Levanon, CEO & Co-founder of Similartech (a super cool SAAS tool that’s a SimilarWeb spinoff) and one of the most influential women in Silicon Valley. Chen was a competitive athlete, an investment banker in Lehman Brothers Inc, one of the youngest female global CEO's in Israel (Clicksmob) and more. Chen's journey started very differently than one might expect - she invested all of her youth on the track as an olympic-level hurdler. Since then, she never stopped competing competing and jumping over hurdles. As we see it, her superpower is making her dreams a reality by not taking NO for an answer. She changed career paths four times and she never looked back. Once Chen decides what her next goal is, not achieving it is not an option. "I heard that this guy that I wanted to work for was at my gym, he didn’t know that I would be on his team.. but I did". Every human being has a superpower, the problem is that most people do not recognize their superpower or do not channel their energies correctly. The most successful people, the Chen’s, find their specialties during their career and nurture the advantages that make them who they are. We’ll be working to create more episodes - if you’d like to keep track of what we’re doing please subscribe to our podcast via Itunes or Stitcher If you like it - please give us a good review.